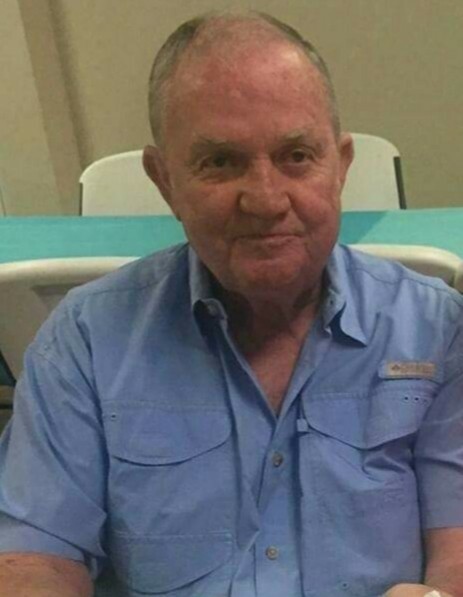 Mr. Elbert Singleton, 75, passed away Thursday, March 21, 2019 at Wesley Medical Center in Hattiesburg, MS. He retired from the United States Navy after 20 years of service. He enjoyed auctioneering and served on the State of Mississippi Auctioneer Commission Board. He loved feeding his fish, and working in his yard. He was a very dedicated and faithful member of McLain Church of God for three years. He loved serving the Lord and the church as groundskeeper. He greatly enjoyed spending time with his family, especially his grandchildren, great-grandchildren, and his dog “Blondie”. He was loved and will be greatly missed. He was preceded in death by, his parents, Connie Lee and Alma Singleton; and brothers, A. C., Y. G., Grady Lee, Vernon, Troy, and Wayne Singleton. Left to cherish his memories are, his wife, Barbara Singleton; son, Elbert “Bert” Singleton, Jr. (Lisa); daughter, Laura Maples (Hootie); step-daughter, Melanie Burke; brother, Jimmy D. Singleton (Alice); sister, Ruth Douglas; grandchildren, Brad, Gracie, Ty, Lewis (Johnna), Lindsey (Weldon), Landon, Katie, Morgan, Julius, and Sophia; great-grandchildren, Noah, Jaxon, Kynnedi, and Mason; and a host of nieces, nephews, and friends. The Funeral Service will be held on Monday, March 25, 2019, at 1 pm with a visitation prior to the service beginning at 11 am at Pleasant Hill Baptist Church in Millry, Alabama. Interment will be in the Pleasant Hill Baptist Church cemetery with Bro. Hootie Maples, Bro. Lewis Maples II, and Bro. Jimmy D. Singleton officiating. On-line condolences can be given at www.freemanleakesville.com. Freeman Funeral Home - Leakesville is in charge of arrangements.